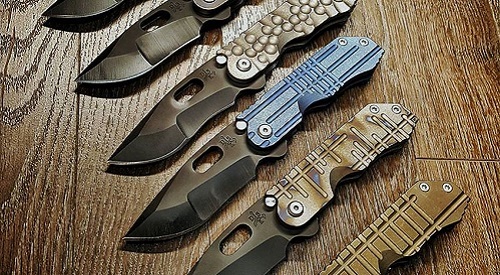 Maker of custom hand made knives and defensive tools for the everyday war fighter and defensive enthusiast. 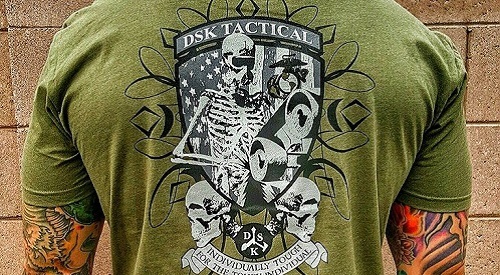 The goal of DSK tactical is to design tools that will last through a life time of use and be passed on from generation to generation. Along with custom knives, we have created other useful and complimentary tools & gear for the everyday war fighter and defensive enthusiast. 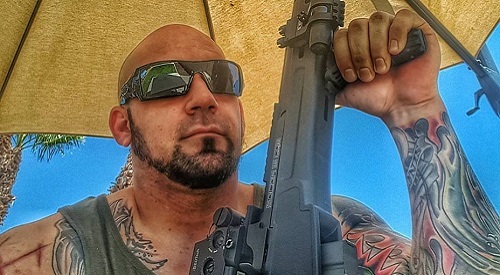 Learn more about Dan Sullivan of DSK Tactical and his passion for creating one-of-a-kind, custom, tactical knives, tools, and gear. I've currently opened my books for the megalodon the stealth and the prick knife builds... I will be working diligently on these orders as well as taking other custom projects here and there. Stand by for updated pictures on this area of the page. "I just wanted to let you know I received the Kickstand in great shape. The knife turned out even better than I expected which was a very nice surprise...really a stunning piece and well engineered! Thank you for your attention to detail and making this exceptional custom for me. We are a very small custom knife making shop with all the work done in house using American made products. Utilizing real world experience derived from the current needs of today's world. © 2019 DSK Tactical, LLC. | Site Created & Managed By: Web Designs Your Way, LLC.